Since 1997, Futura Kitchen sinks Ind Pvt Ltd. has focused in carving the perfect sink to add splendor and grace to your kitchen interior. 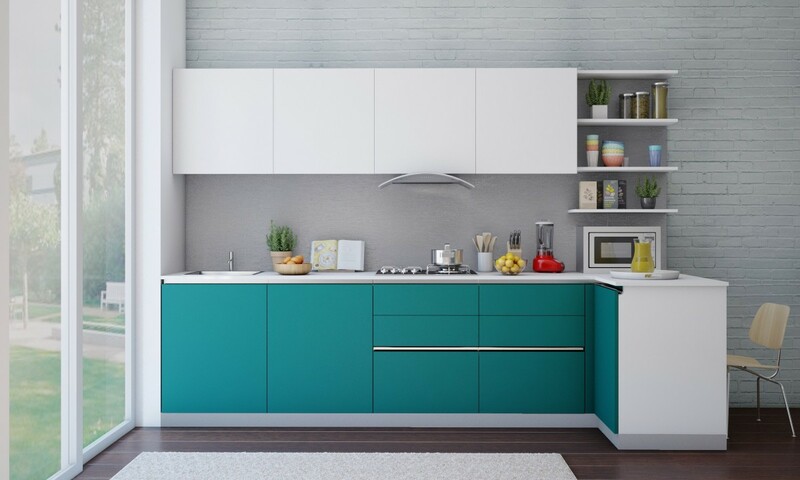 The company has today evolved as one of the leading and reputed manufacturer of kitchen sinks and accessories establishing in the process a distinct brand identity “Futura”. To add maximum variety and aesthetic appeal to futura products, they have introduced a variety of finishes in our products- pearl, brush, gloss , matt finish etc.Futura have been manufacturing high-end stainless steel sinks with the most advanced level of expertise in the industry. Futura’s factory and products are certified by international quality standards organizations, such as ISI, ISO 9001, SMERA. Kutchina : It is Known for its advanced Autoclean technology, and are Pioneers in this technology.It comes with Filterless technology and has introduced latest 3rd generation autoclean technology.All the chimneys from Kutchina has got life time warranty on products and 3 services free with Service center available. It has toll free number to Book services and Can mail to customercare@kutchina.com. Price Range starts from 8000 to 56000 are Highly efficient and durable. suction starts from 700m3/hr to 1600m3/hr. no other brand has got 1600 suction chimney. Hindware : It has got good brand name in Sanitary market, so It has entered and made good margins in the market with Low end models to high end models.Most of them are reliable models. It has launched autoclean models but are attached with filter. Kaff: Kaff is known for its number of models and Quality, but service is not good.They got filter chimneys and Autoclean chimneys with filter and Filterless chimneys without autoclean options. Autoclean and Filterless : These are advanced options available, so that you need not clean the filters and with just touch of the button or touch control, it gets all the oil collected. Budget : Budget comes last, because if you ignore all 5 options above and go with budget, you might end up buying 2-3 chimneys in 2-3 years instead of one chimney in 8-10 years. Eight Streaks Interiors, Interior designers in Hyderabad with Manufacturing facility involved in Turnkey Interiors.Our products are manufactured are made on latest machinery imported and made with utmost care to excel in the finish and quality, and are assembled at the site. Our aim is to continuously upgrade and Improve on quality terms and trends in the market and to provide the customers with Customizations and Ultimately the customer satisfaction providing at affordable cost. We don’t compromise on Quality and Execute the project with responsibility with commitment to gain trust of customers in delivering the delivery of the project on time. Kutchina Selesta chimney, is the 2.5 feet chimney with best performance of 1200 suction and Filterless autoclean technology.Chimney has best looks and best in class features with 2.5 feet in size. Kutchina Elite dlx chimney from Bajoria appliances has its niche in High suction chimneys with 1400 m3/hr suction power and 3feet width. It comes with Life time warranty and 3 first services for free. Its touch control and Curved glass in Stainless steel finish gives the best of the looks that a chimney must have. Definitely a product of its kind with high suction Power and Looks!! All Kutchina chimneys are with Advanced Autoclean Technology (3rd generation autoclean) -Filterless autoclean -No need of cleaning filters, oil collects in the oil collectors with just a Touch on autoclean button. Teja Management group with 15Years experience in the field of Housing loans, Project loans has quick approval of loans and Best service in Hyderabad. Lic housing finance offers best interest rate for Housing loans and Best service is Provided in checking the Process and Procedures and other documentation required and Eligibility requirements.